UPDATED – ADELAIDE, Australia (CNS) — Archbishop Philip Wilson of Adelaide, who faces a maximum penalty of two years in jail for failing to inform police about child sexual abuse allegations, said he will stand aside from his duties as archbishop while he considers how to proceed legally. In a statement May 23, the archbishop said he was arranging for management of archdiocesan affairs and would step aside as of May 25. “If at any point in time it becomes necessary or appropriate for me to take more formal steps, including by resigning as archbishop, then I will do so,” Archbishop Wilson said. The local court in Newcastle found that, in 1976, then-Father Wilson had been told by a 15-year-old boy that he had been indecently assaulted by a priest who later died in prison, but that Father Wilson chose not to go to the authorities despite believing the allegations were true. The sentencing is expected in June. 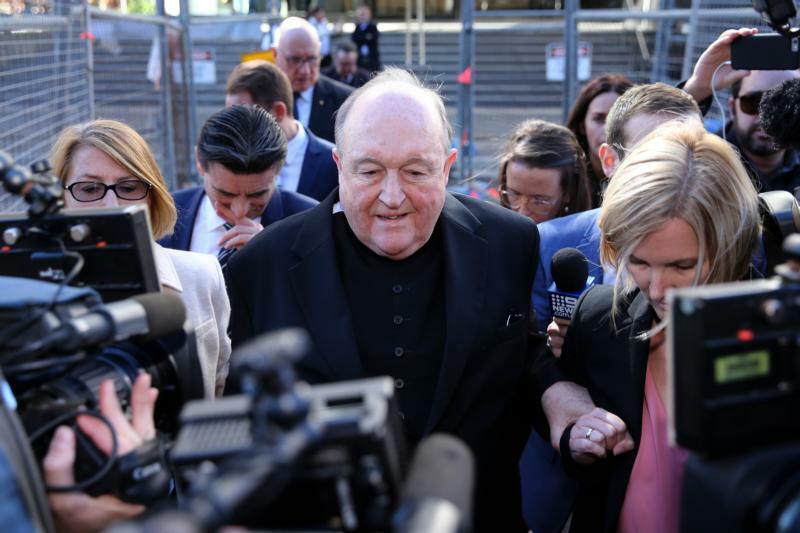 “Archbishop Wilson maintained his innocence throughout this long judicial process,” Archbishop Mark Coleridge of Brisbane, president of the Australian Catholic Bishops’ Conference, said in a statement. Archbishop Wilson is the highest-ranking church official to be convicted of covering up abuse charges. He recently was diagnosed with early stages of Alzheimer’s disease, and throughout the magistrate’s hearing he testified that he had no memory of the conversation. However, the Sydney Morning Herald reported that Magistrate Robert Stone said the weight of multiple prosecution witnesses, “solid, church-going people,” helped convince him. The Royal Commission of Inquiry Into Institutional Responses to Child Sexual Abuse, announced in 2012 and launched in 2013, investigated allegations of sexual and physical abuse across dozens of institutions, including schools, sports clubs and several religious organizations. “The safety of children and vulnerable adults is paramount for the church and its ministries,” he said. On May 1, after a monthlong pretrial hearing, an Australian judge ordered Cardinal George Pell, on leave as head of the Vatican Secretariat for the Economy, to stand trial on multiple charges of sexual abuse of minors, charges the cardinal consistently has denied.